Travel the funky spaceways at Studio Party at McColl Center for Art + Innovation - our annual party + contemporary art sale! Presented to the community by Wells Fargo, Studio Party is a stellar opportunity to dance, mingle, and boost or launch your art collection while supporting McColl Center’s artist residency program and exhibitions. 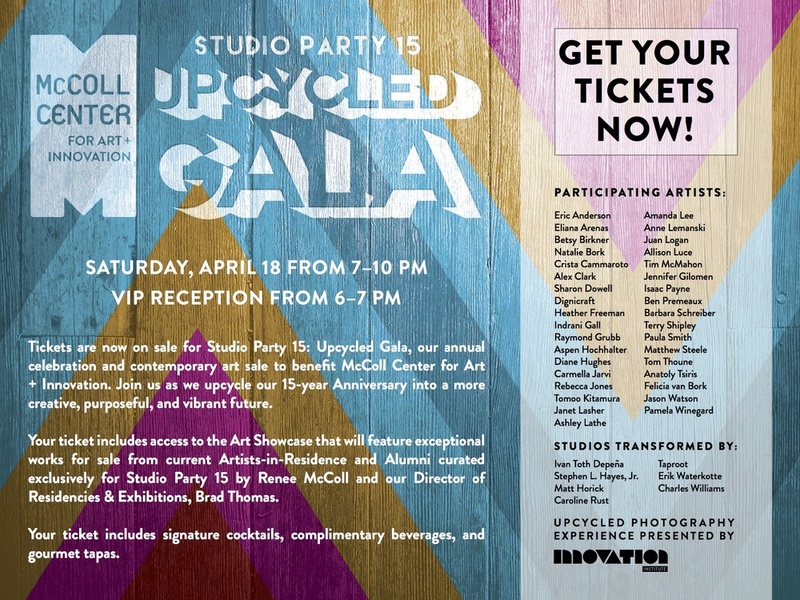 Proceeds from this cosmic party directly benefit McColl Center’s artists-in-residence. This exhibition benefits the Humane Society. You’re Invited to our 7th Annual Palate to Palette on Friday, December 5! Join us for a fun evening of unique wine + artist pairings. Palate to Palette is a great way to experience the Center; seven Studios feature a different local artist and wine pairing. Meet the artists and sip wine that is available for sale by the bottle or case. 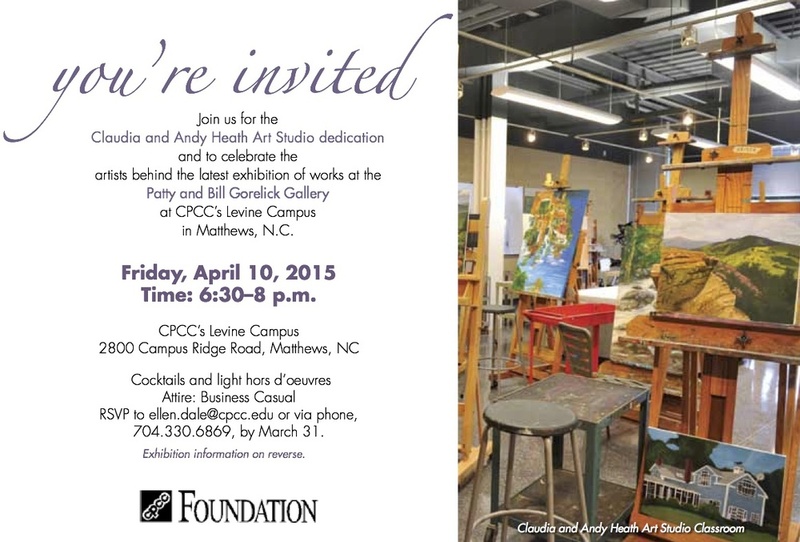 Proceeds from wine and art sales benefit both McColl Center and the artists. The ticket price includes wine tastings in all Studios, food stations and a program for you to take notes as you travel throughout the event. There’s also a silent auction featuring a catered dinner for 12, in addition to a raffle that includes some great local experiences. Raffle tickets are available to purchase in advance and the night of the event. Click here for a list of other activities including a very creative photo opportunity presented by Innovation Institute and Michael O’Neill. Innovation Institute Alumni receive a $10 discount per Palate to Palette ticket. At the $250 level you are recognized as a host sponsor with 4 tickets, reserved seating in an Artist's Studio, and a bottle of wine.